I’ve had a lot of questions lately about how I come up with activity ideas for the themes that we use for learning. 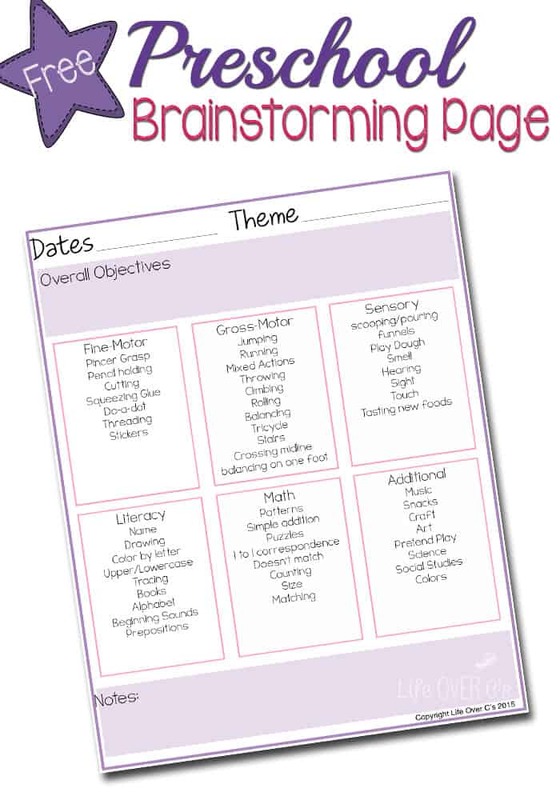 A while back I created a super simple theme planner for preschool, that helps remind me of the different types of activities I should be including. I’m a very visual person (out of sight, out of mind), so having the list jogs my memory to make sure that I am providing a variety of activities to reach all the different goals. I’ve the theme planner to share with you today, along with an awesome FREE e-book filled with great back-to-school tips and lots of freebies to help you with your back-to-school planning. Plus, we have a whole bunch of giveaways for great prizes. So be sure to visit all of the different blogs linked up at the bottom of this post. Every blog has a different giveaway with a totally separate chance to win. 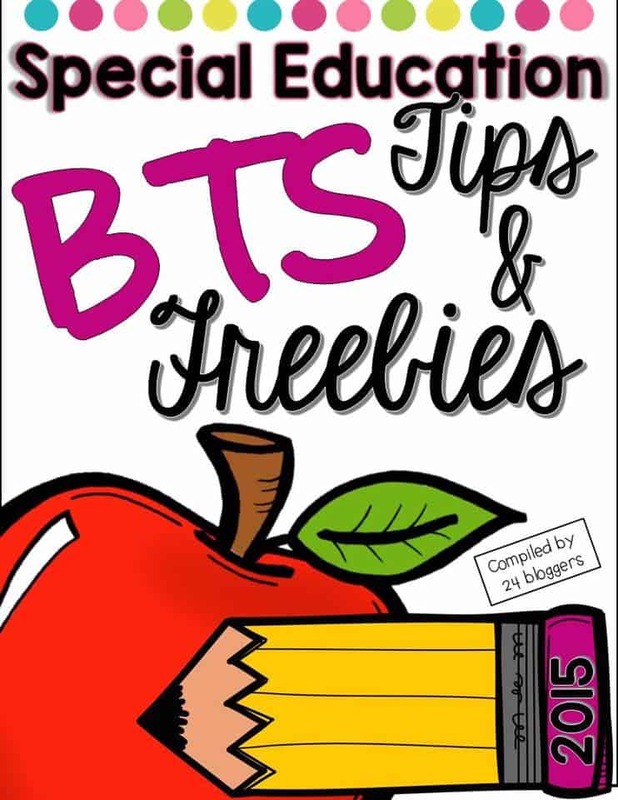 In addition to the super handy preschool theme planner, I have joined together with some awesome Special Education Bloggers to bring your the FREE Back-to-School Tips & Freebies E-book! The first theme we’re doing is back-to-school!! I’ve already started getting all my books together! Do you use individual themes throughout the year in your lessons like: pumpkins, leaves, snowflakes? We are about to learn about Antarctica! Brr!!! Our first theme will be Back-to-School rituals & routines. Our first theme is all about me….thanks for the chance to win some great new things! Our first theme will be apples ! My first themes will be Getting to Know You and Apples! How do you use this preschool planner exactly? Do you circle or highlight the areas you have used in each lesson/week? I use it to help me keep track of the types of activities that I have offered in a given week. I use Trello to actually plan my lessons, but, as a visual person, I need the list to remind me of what types of activities to do. Back to School incorporating procedures and routines. our first theme would be all about our summer!!! !